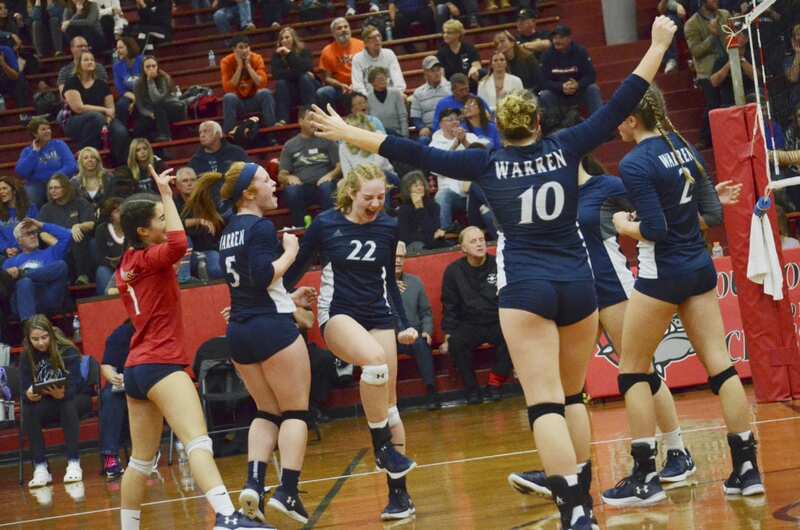 The Warren Area High School volleyball team is the perfect mix. A talented, driven family that knows how to work hard and have fun. If you’ve seen the Warren volleyball team play, you know they’re, competitive, talented and downright scary for opponents. What you might know about them is that as people, they are kind, caring and yes, maybe a little big quirky as well. When put together, their individual personalities make them the true definition of a team, both on and off the court. And that goes from seniors through freshmen. There are no egos. You often hear about how the best teams and programs cultivate a family atmosphere. From first-hand experience, I can tell you that is certainly the case with these girls, as well as their coaches. 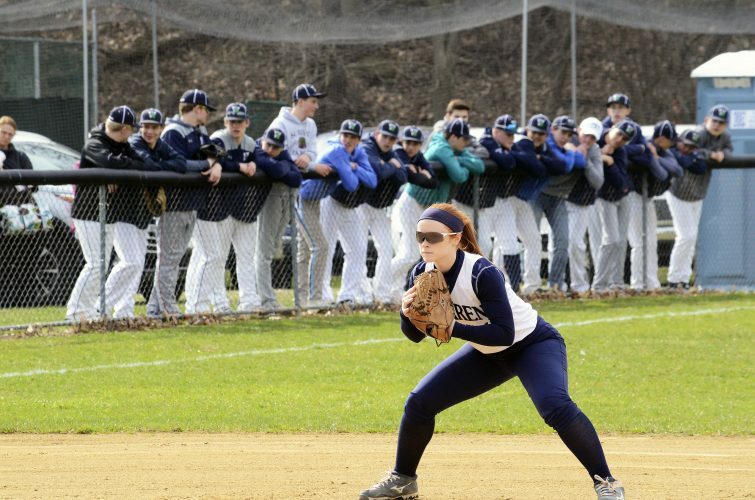 “The way everyone treats one another and how we’ve all become a family and can have fun at practice, messing with Mike (Dolan) and yet still get things done,” said sophomore Jordan Sitler about her favorite thing about the team. And the support they receive from one another is amazing to watch. And they certainly know how to have a good time as well. “There is never a day that we all don’t do something stupid together that makes us laugh endlessly,” said senior Julia Lobdell. To that end, they had fun dishing on each other at who the best and worst are at certain things, as well as favorites and future career paths. For instance, when it comes to dancing, Lydia Latimer is viewed as the best, with Nyquist, Sitler and Hannah Shattuck also getting some consideration. There’s also a consensus when it comes to the least skilled on the dance floor or wherever they feel like bustin’ a move – Julia Lobdell and Celia Chase. When it comes to favorite TV shows, there’s a wide range of interest, with The Office getting the most votes and Chopped, Fixer Upper, American Horror Story, Riverdale, Grey’s Anatomy and The 100 also among the favorites. In so many ways, they are your typical teenagers that just so happen to be an incredible volleyball team. They are also great students and have a wide range of interests in terms of what they want to be when they grow up. What sticks out is that many of them want to go into fields where they spend a large amount of time helping others, which comes as no surprise to anyone that knows them. Nyquist, Grace Wortman and Olivia English all have aspirations of working in the medical field – Nyquist as a Pediatrician, Wortman a Neonatal Doctor and English a Veterinarian. Wortman also lists Criminal Analyst as a potential profession, with several of her teammates aspiring to a similar career path, including Wennberg. Julia Lobdell and Chase both seek to become physical therapists, while their teammates, including Latimer (environmental science engineer), Mineweaser (accountant), Sitler (middle school math teacher/elementary teacher), Shattuck (vet tech or elementary teacher), Katie Madigan (speech therapist) and Ellie Lobdell (sexual assault and domestic violence detective) have a wide range of career interests. 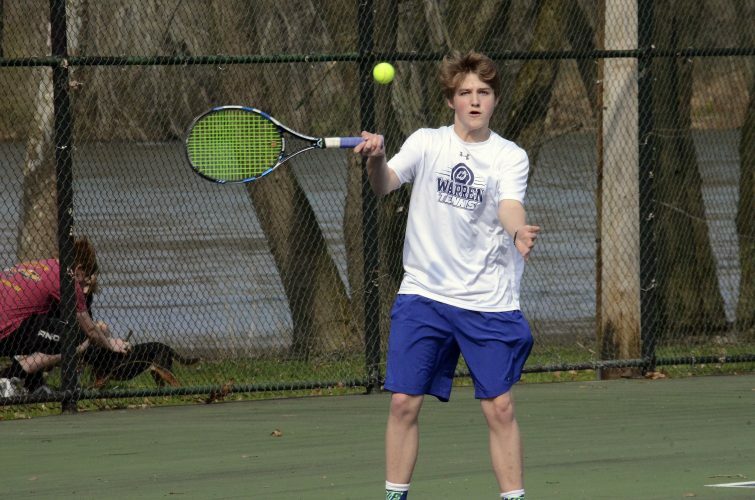 On the court, all of them excel at their respective positions, but that doesn’t mean they wouldn’t be open to trying a different one, if given the chance. Nyquist (setter) and Julia Lobdell (libero), have bared the brunt of some of head coach Mike Dolan’s good-natured humor about their height (or lack thereof). Before games, they also share in some pre-game rituals, the most popular of which might be Wortman braiding her teammates’ hair, as well as Latimer and Madigan with their beats. Latimer also points to tying her shoes during the lineups, while Wennberg enjoys the handshakes with the underclassmen and Nyquist the huddle they have before every set. Sitler and Shattuck also have their own special handshake. Their favorite memories are wide-ranging and speak to the both their competitive nature and different personalities. Julia Lobdell looks fondly upon beating everyone at laser tag (which is an underrated active, my words not hers), while Mineweaser says it’s everyone trying to get her to try new foods. Many of them also reslish being the speedball champions (although a definitive answer on who that actually is isn’t’ clear) and they all have fun persuading Dolan out of doing ladder. Most of all, they enjoy being a team. They’re a team that made history on Saturday when they beat Conneaut’s for the program’s first District 10 title, and they’re not done yet. Tonight marks a new chapter when they embark on the state playoffs, where they take on Central Valley (7:30 p.m., Meadville High School). Ellie Lobdell points to the “friendships and bonds with each other” as her favorite thing about being on this team. And that is something that will last long after the final whistle blows on this historic season.